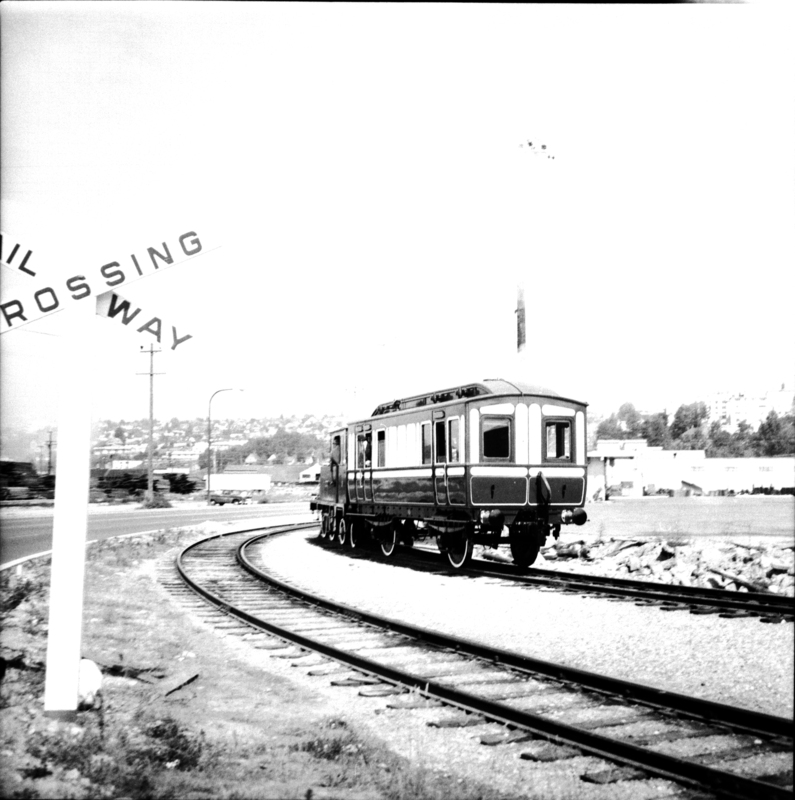 Photograph depicts a British locomitive, the "Dunrobin," and saloon coach having just emerged from a BCER locomotive shed in New Westminster. Mr. Swanson, a B.C. chief mechanical engineer, is visibled leaning out of the coach's window.